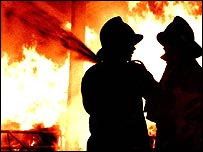 J. C. Ryle—The watchman who keeps silent when he sees a fire is guilty of gross neglect. The doctor who tells us we are getting well when we are dying is a false friend, and the minister who keeps back hell from his people in his sermons is neither a faithful nor a charitable man. Some shepherds have a tailor made view about this too. They say, “Keep it upbeat! Tell the sheep about the still waters, about the overrunning cups, and the mercy that chases the sheep. You will kill the flock with the negative message.” The shepherd conferences and confabs all promote greener pastures, fences that never need repairing, pure waterholes, and a place without wolves. However, this is a fantasy land for shepherds. A shepherd always will contend with sub-par grass, fences that get holes in them, watering spots that become contaminated, and predators that are always licking their chops. The startling question that I have for you is this: When was the last time you heard a sermon on Hell that jolted you from your reverie of pursuing the American Dream? If it has been recently, you need to thank God that someone was willing to put this in front of you. If you cannot remember, you need to ask God to press it into the pastor’s mind with such force that he has to preach this troubling, terrifying message to the flock. When Hell disappears, the Church loses her sense of direction. The presence of Hell out to motivate evangelism, it should encourage a devotion to God, it should heighten the desire for holiness, and it should keep us in a place of individual spiritual evaluation. 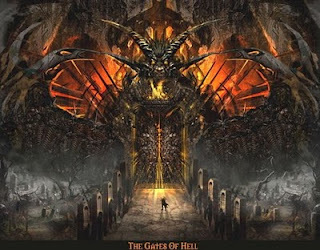 The very existence of Hell places a sense of personal responsibility on every person who calls themselves a Christian. We are to give ourselves to actions, attitudes, and aptitudes that are distinctly Word-driven. Our directions come from the Bible not from the talking heads. 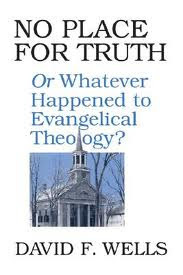 As Hell disappears from the landscape of the pulpit, worldliness gets a chokehold on the Church to such a degree that those who come go and go in houses of worship have very little difference in their actions, attitudes, and thinking patterns as the worldlings they view as lost. Perhaps it has to be considered that the greatest mission field in America is not outside the Church but inside the Church. But with the exit of Hell, shame and guilt are removed from the equation in the human heart although both of these emotions are distinctly God-given to us for a reason. When Hell is gone, sin is reduced to self-esteem issues that can be fixed by talking through them or better yet, dismissing it totally. I can only wonder how many people sit on pews that have never been converted but are really self-deceived and think that they are safe and saved. 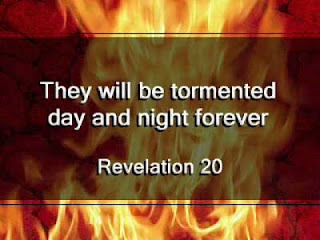 It has become popular in our society to laugh at and mock those who do proclaim that there will be such a place as Hell. The mockers cast anyone who dares to venture into the subject matter as a “fire and brimstone” preacher. We are so beyond that they contend. We are so educated beyond that they intone. We are so advanced beyond that idea they stutter. But the fact remains that one’s opinion about what God has clearly stipulated in His Word is unchanging regardless of what a man thinks or does about it. This includes the matters of how educated, how financially secure, or how socially acceptable he may be, truth is unchanging. A few weeks ago, I again found a compelling and pressing need to again preach about Hell. Personally for me it is always a challenge to preach about Hell. The reason is because I do know about the pressures and stresses that are facing people every single day of their lives and a message about Hell is always very heavy and ominous. But the fact remains that if I help people manage their stress, their finances, their marriages but they end up in Hell, of what use was the “spiritual” advice. While the message was loaded with Bible, I want to share with you a couple of the illustrations that I used. It is told that this had such a huge effect on that pastor that from then on he went about his task with an urgency and fear for the souls of man. I am aware that the majority of readers of this blog are ministers, so my question to you is this: When was the last time you preached a message on Hell? When was the last time that you preached a message on Hell and you were so moved by it that tears marked your words? Can you pay the price to become a man who preaches with conviction? I concluded with a story told to me by one of the men who attends our church. Hoyd Sanders is a retired USAF fire chief who for forty years worked as a fire-fighter literally all over the world. Several months ago, Brother Sanders started talking to me about some of his experiences with fires that he had been involved in putting out. He told me about a time in January, 1965 when he tried to help a lieutenant get out of a fire. A fire broke out in a large building and the Air Force firemen showed up to put it out. When they got there, a portion of the building on one end was engulfed with fire. They soon discovered that there was a lieutenant in the building but his escape had been blocked by the fire. So he turned around and started running toward the end of the building where the fire had not progressed to find another exit. The bad part was that there weren’t any alternative exits. By the time the lieutenant discovered this, the fire had caught up with him. He ran to a window and about that time Brother Sanders saw him running toward the window and decided he would go and try to break it so the guy could escape. The only problem was that there bars covering the window and he could not rip them away from the window casing. Furthermore when he reached up to grab the bars on the window they were so hot he could not hold on to them. This man was on the other side of the window and Brother Sanders said he could see the fire racing up behind the man but he could not escape nor could he be rescued. Brother Sanders told me that in just seconds he could see the man’s ears literally melting off the sides of his head. He could hear his screams pouring out of his mouth. But the part that still haunts him to this day and he told me that rarely does a week go by that he does not see that man’s eyes. . . . those horrible, terror, pain-filled eyes pleading with him to get him out of that fire. . . . .
Jude. . . said it like this. . . . others save with fear, pulling them out of the fire. Pastor, preacher, evangelist. 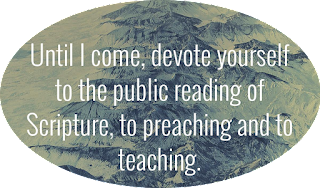 . . You have a job to do this weekend when you get into that pulpit! Are you going to manage the stress, massage the egos, or pull them out of the fire??? ?